Looking for an unusual tie that not only works with classic suit but perhaps even more so with a dressed down, more rustic look? 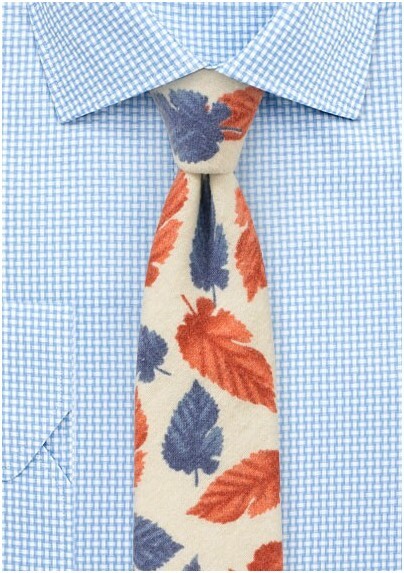 Then this vintage inspired tie by BlackBird is perfect. The cream background color is decorated with printed leaves in burnt orange and steel blue. 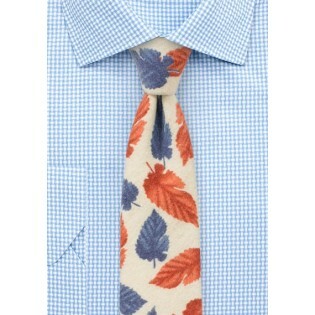 A great tie for blue or gray flannel shirts, tweed blazers, and even leather suspenders. Handmade using an unusual flannel cotton fabric.